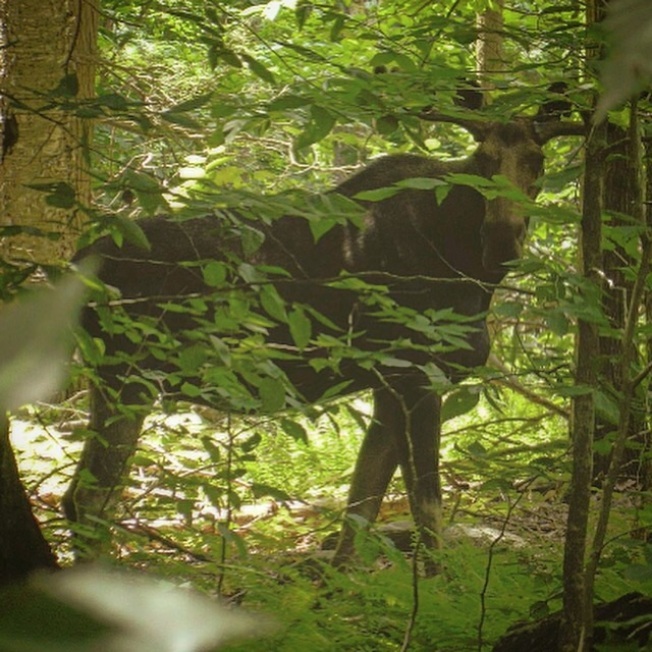 A woman is in critical condition after her car struck a moose on Interstate 95 near Howland, Maine, early Saturday morning, according to police. Maya Linnell, 23, from Fort Kent, Maine, is being treated for severe head injuries at Maine Medical Center in Portland, where she was flown. Linnell was headed north on I-95 when her Honda Accord struck the bull moose just after 1:30am. The impact tore the roof off the car. Two other vehicles struck the dead animal which was in the road. Occupants of the other vehicles had minor injuries.